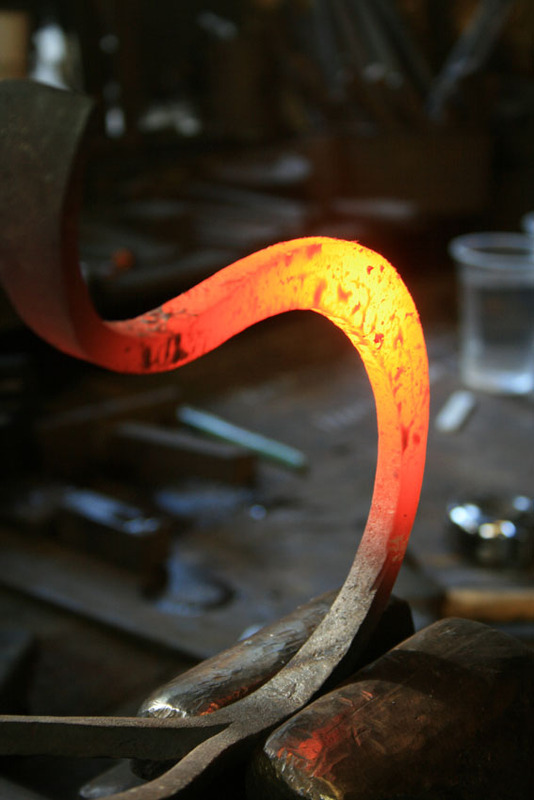 As an artist blacksmith I have learnt to design from all types of styles and visual sources, this enables me to design a unique piece to suit a clients taste, the location and the specifications. Please contact Alex Smith on 07793679788 or e-mail- alex@chalkpitforge.co.uk for any inquiries. Honda Arch, Nr Bognor Regis, West Sussex. The project below was a very unique commission from a client who wanted a loved ones, much loved Honda Legend, turned into a sculpture. 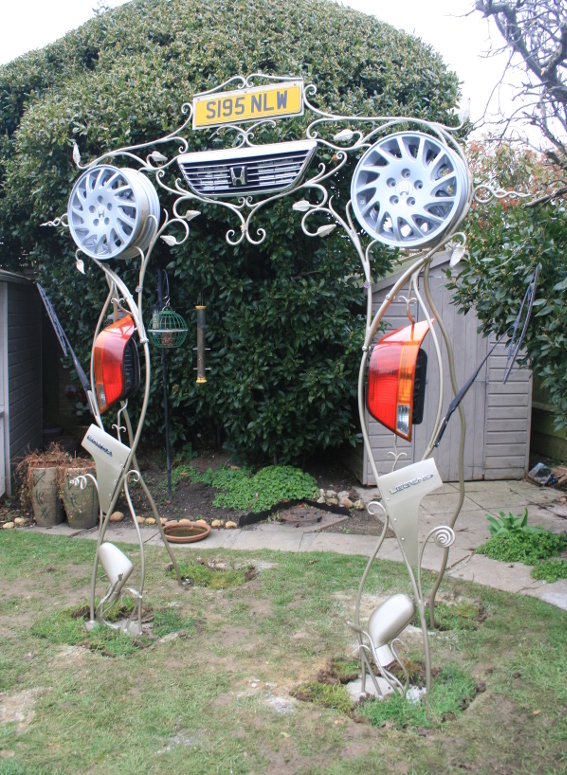 We decided that the parts of car she wanted me to use for this sculpture would look best installed into an arch that could then be installed in her garden near Bognor Regis, West Sussex. 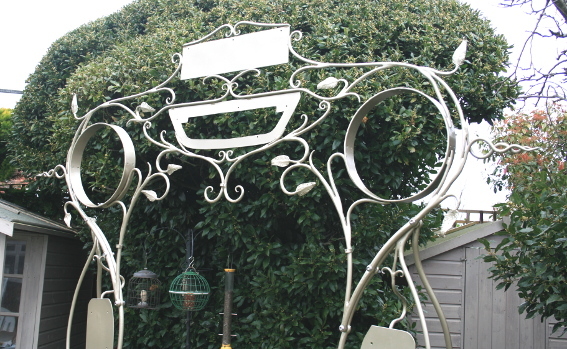 I then designed how I thought these parts would look best incorporated into the arch and then she gave me the okay. This arch is a memorial to Maurice who died in 2017. 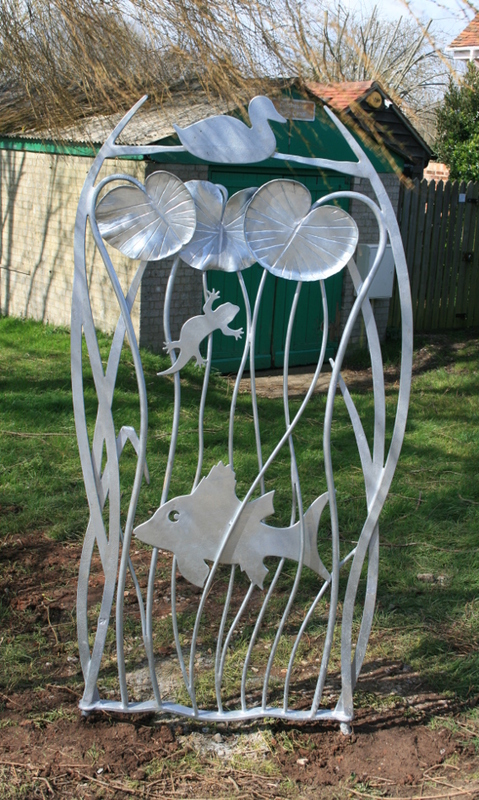 Memorial sculptures, archways and benches etc... can be designed to incorporate some of the loved ones things or something sentimental to remember them by, they can also have a plaque or something stamped into the metal as a reference to them. The first picture below shows the arch without the sentimental, Honda parts attached to it. If you would like something made to remember a loved one, then please get in touch and we can discuss what might be appropriate. And a more detailed shot. And below is a photo with the parts the client wanted included in the Honda arch. This gate is placed next to the South Downs centre in Midhurst. The hills reflect the South Downs. The tudor house, near the lock, reflects Midhurst, the Eel and Roach reflect the river Rother and the criss crossing curves of the clouds, hills and river reflect the criss crossing pattern in the South Downs National Park logo. And a close up of the eel. 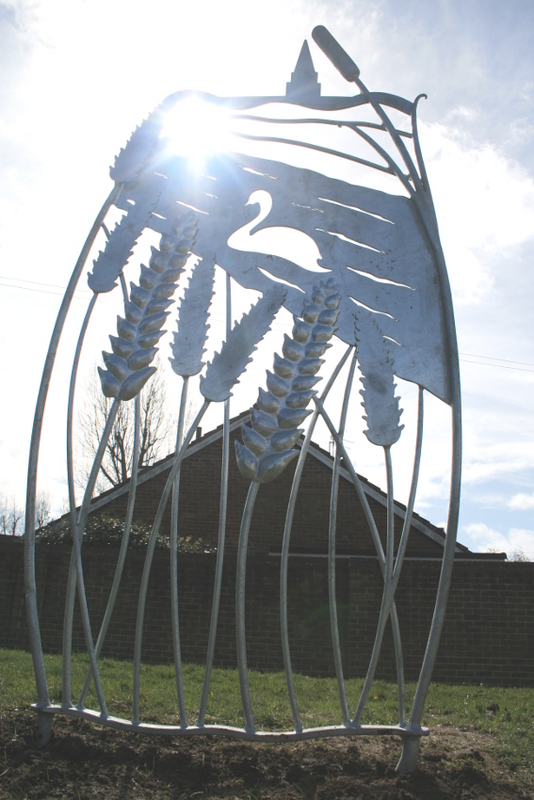 The project below is a Public art project in Hunston, near Chichester, West Sussex. After being approached by the council I designed two panels that, I felt, reflected Hunstons character. The picture above reflects the wheat that is produced in Hunston, the canal and Chichester cathedral. 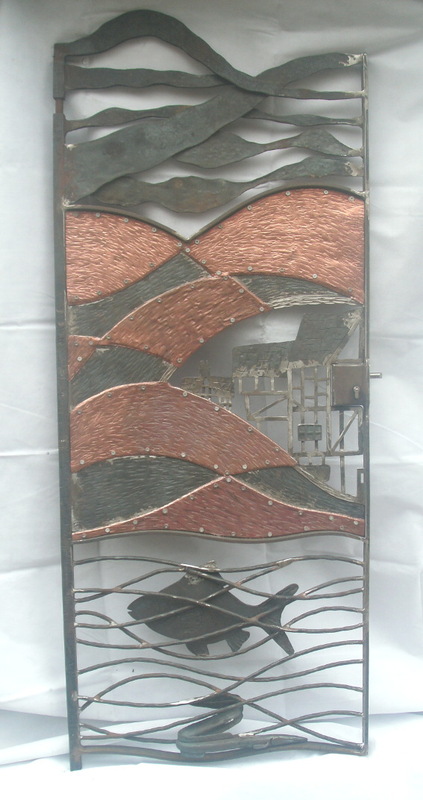 The Picture below reflects above and below the canal, which is teaming with wildlife, including the Perch, newt, Lily's and reeds that are within this panel. Juliet Balcony, Nr Arundel, West Sussex. 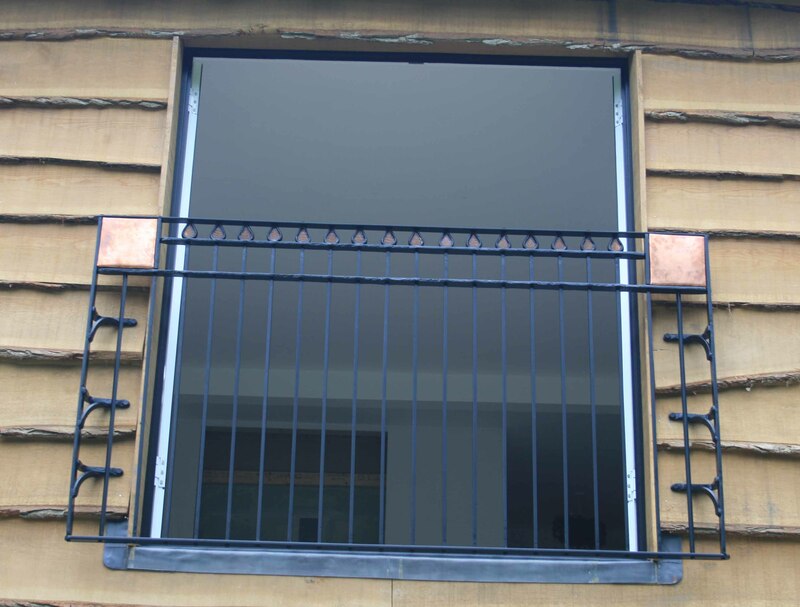 This Juliet Balcony has been designed/made by Chalk Pit Forge to incorporate arts and crafts and art deco styles fused into one. It has been made using traditional techniques such as mortise and tenon joints going through punched holes so the bars swell around each of the joins. The amber glass, which is inserted into the split metal arts and crafts pear shapes, has been used to make use of the light entering the room on the inside. The copper panels are used to enhance the art deco style as well as adding a contrast to the black finish on the mild steel. The finish is a matt black, but many colours are available. 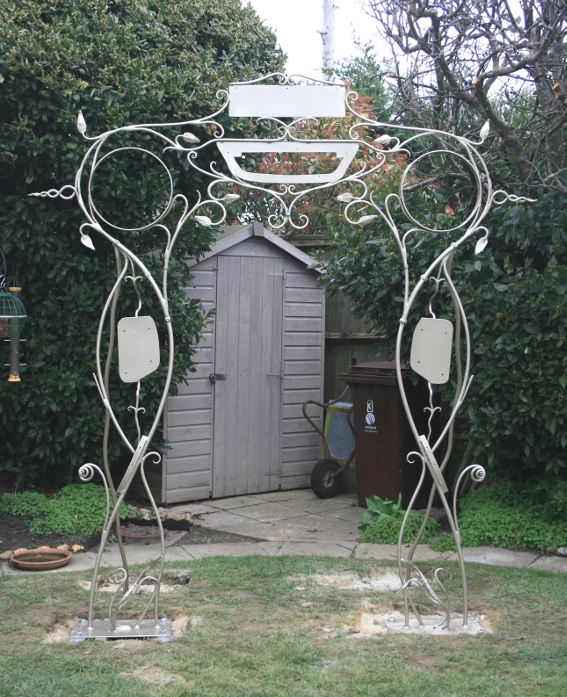 Work can be made using the traditional joining methods above, which add a nice touch to the smaller details or it can be neatlyarc welded together or a combination of both. Pine Tree and Bull rush gate, nr Arundel, West Sussex. 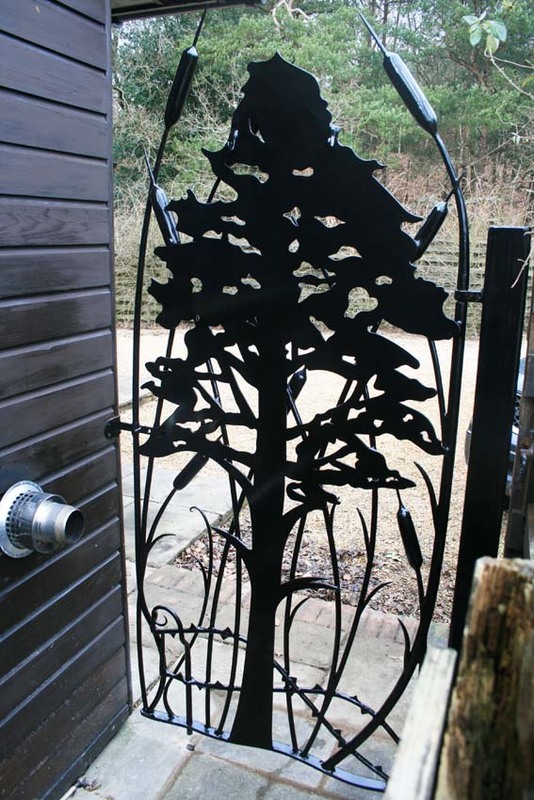 The Pine tree and bull rushes gate was made for a client in West Sussex using techniques such as arc welding, laser cutting, hot punching, forging and bending. The design uses inspiration from the location, a pond in the garden and a pine forest at the front of the property. The other criteria was something spiky to make it hard for intruders. The finish is a zinc spray and black gloss. Wild Railing, nr Arundel, West Sussex. 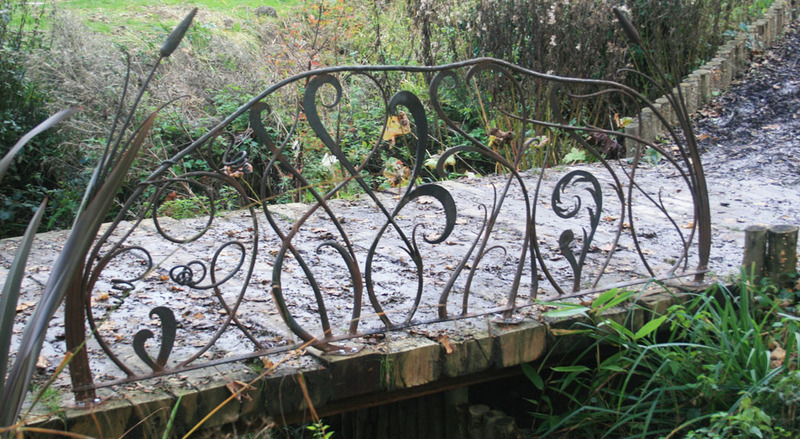 The railing below was made for a bridge that crosses a stream in West Sussex. The design criteria was to be inspired from nature, free flowing, sculptural and artistic. The mild steel has been forged, split, bent and arc welded. It has been left to rust and then finished with linseed oil every year. 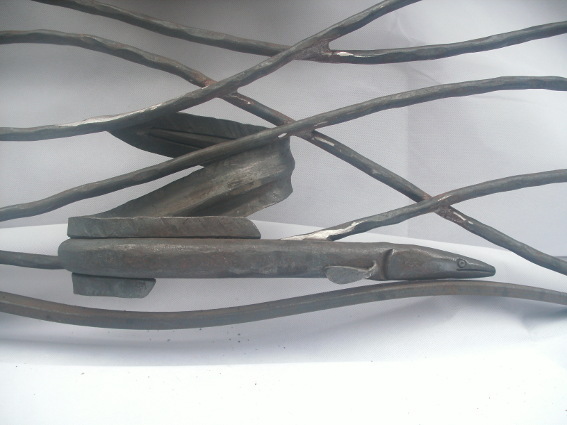 The hot metal below has been forged to change the cross section along the bar to give a more visual appeal to the metal. 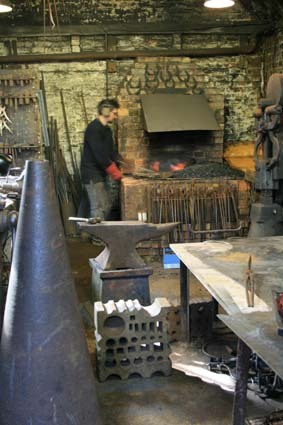 The Forge, Mandril [blacksmiths cone], anvil, tongs, swage block and me [Alex].